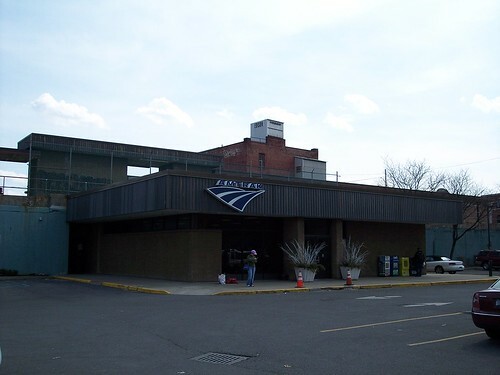 Schenectady marked the end of our ride on Amtrak's Ethan Allen Express. Not all that impressive a station building, but on the plus side we did get some pretty good hot dogs just down the street from the station. 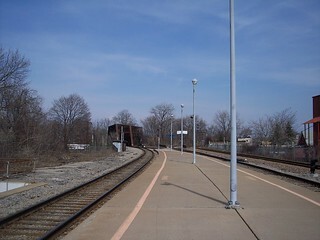 Currently there is a single platform above the station, but it looks like at one time there may have been a second platform to the right. 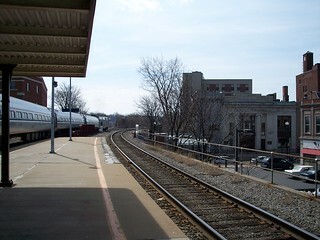 Looking east (right), our train prepares to depart for New York. 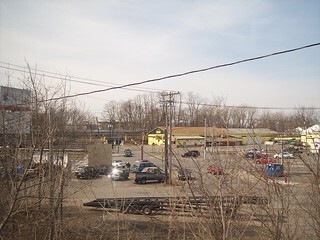 The line splits just beyond the station with the tracks to the left heading toward Buffalo and those to the right to Saratoga. 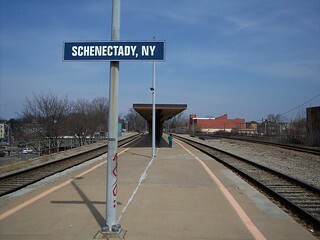 As we approached Schenectady on the Ethan Allen Express an Empire Service train could be seen in the distance (right). 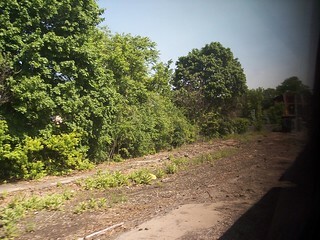 A section of old abandoned platform just west of the station.